Welcome to A-Core's Networking area. We need both (talking to each other, working together)"
Newcomers can learn about the A-Core section on this thread. Readers and new Members that have done little or no research into the matters discussed in this section are advised not to participate in discussion until you have done some serious research. We accept that many of the threads may contain postings that appear unbelievable and ridiculous at first. Those who are open minded and feel compelled to learn more are very welcome to read and ask questions, if puzzled by posts here. We would recommend the following materials to those with little or no previous knowledge. I am the founder of GlobalEdgeInvestors (GEI), and I post here on the website as "DrBubb." You may have noticed that the website does double duty (actually, triple duty!) The Main function is as a place for GEI's existing global membership to discuss news items, and their impact upon investment markets. You can see the "larger" GEI website in action, at http://www.GreenEnergyInvestors.com . The second duty (in its A-Core mode) is to act as a forum for people based all around the world to build a social and communications network. In contrast with GEI's main function as an online forum for investors, A-Core is for people with broader interests, who may also be more aware of some of the stranger and more controversial happenings on our planet. Many of our original members met on a property-related website called HousePriceCrash. co.uk But that proved too narrow a focus. We launched GEI initially as GreenEnergyInvestors, and the idea was to discuss news items related to alternative energy, and strategies for investing in Green Energy stocks. But the renewables niche was slow to develop. So 1-2 years later the discussions were widened out to discuss things like precious metals investing, the dollar, and vulnerabilities in the global economy. Then, we acquired a second domain name, www.GlobalEdgeInvestors.com, and pointed it to the same chatboard. The range of postings here and the popularity of GEI has expanded greatly over time. As we introduce A-Core, we have over 4,000 members on GEI, with people active from all over the world - but there's still a special concentration of the investor-related posters within the UK. "Both for the Awakened, and the Financially sophisticated... We need both (talking to each other)"
GOLD thread ................... : #2874 : http://www.greenenergyinvestors.com/index.php?showtopic=2874 - Most popular : 2.6 million Hits! 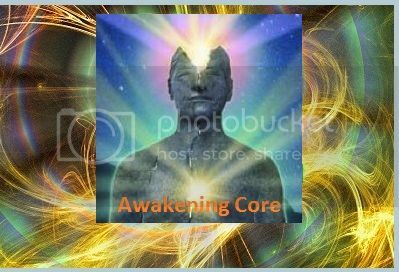 We also hope that you will discuss the many topics in A-Core, including any ideas you may have about how the grow the Awakening Core Network. I believe we will see some big opportunities in the area of alternative energy, electricity storage, and possibly Free Energy, if and when viable technologies are introduced. Please join the discussions here! And better yet, start a thread or two on topics that interest you, and that way we will have a better sense of what you want from A-Core. We are still partly a "blank sheet of paper", and your postings will help determine the way in which A.C. and even GEI will grow. We have recently set up a poll of GEI members, to learn more about the Demographics of people who visit our site as members. Over time, we think this may change somewhat, and we will have more people who join the site for networking, and want to get involved in Skype chats and local meetings. This is the purpose of this section, A-Core, the networking section, to encourage that type of growth. This activity may start slow (as is normally the case), but I look for it to get bigger and better over time. I am interested in creating ways for communities to develop creative activities within the membership, using concepts like barter, crypto, and community currencies. Local and web based communities may be a key means of surviving a long economic downturn, and we seem to be headed that way. In a challenging environment, the principle of karma works within a community, by building a culture of generousity. (In other words, if you act according to the principle: "do onto others as you would have them do onto you" within a community, others may learn from your behaviour and copy it.) There are also some innovative ideas, like gifting communities - which make much less use of conventional currencies. Is this going to be the way forward in our future? but it never took off, because some parties that we going to cooperate took a different path. 08 Sep 2014 : 10, 931 - many curious people have popped in to look since 2009 ! "Awake and aware, and using full discernment of both Heart and Head"